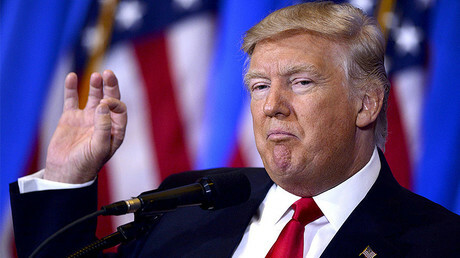 US President-elect Donald Trump said that intelligence insiders have confirmed to him that the much-hyped dossier, alleging that Moscow has compromising evidence on him, was a fake. 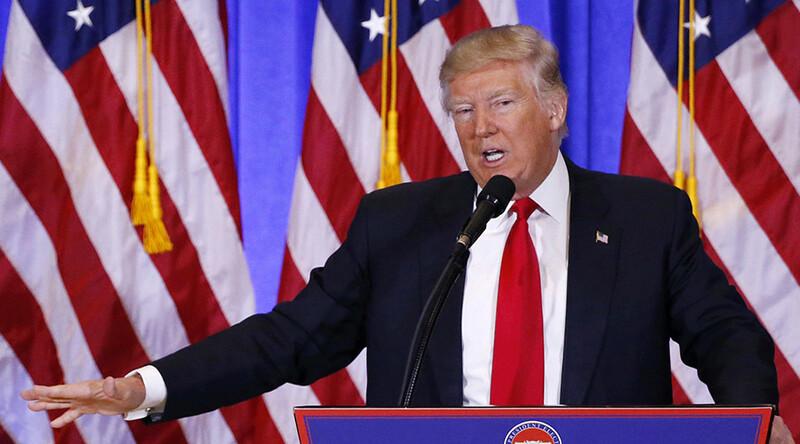 “Intelligence insiders now claim the Trump dossier is "A COMPLETE FRAUD!" Trump wrote on his Twitter page. The president-elect, who is to be inaugurated on January 20, didn’t specify the members of the intelligence community who came up with the assessment. On Tuesday, CNN and BuzzFeed reported on a secret dossier, compiled by an unidentified former UK intelligence officer, which, the outlets claimed, contained proof that Trump was groomed and supported by Russian intelligence for at least five years and that he was target of potential blackmail by the Kremlin. Among the revelations in the dossier was a bizarre story of Trump allegedly hiring several prostitutes to “perform a ‘golden showers’ show in front of him” on a bed in the Moscow’s Ritz Carlton Hotel’s presidential suite where Barack Obama and his wife had previously stayed during an official visit to Russia. He also labeled BuzzFeed a “failing pile of garbage” and refused to take a question from a CNN reporter during a news conference this week. Both BuzzFeed and CNN came under fire from prominent journalists, as well as social media, for spreading unverified data obtained from anonymous sources. On Thursday, US Director of National Intelligence James Clapper released a rare statement, saying that he met with Trump to express his “profound dismay” over the dossier. “This document is not a US intelligence community (IC) product and… I do not believe the leaks came from within the IC,” Clapper said. It was then revealed that the dossier was put together by former intelligence UK officer Christopher Steele, who now heads the private Orbis Business Intelligence firm. Steele “has not worked for the UK government for years,” British Prime Minister Theresa May said.